Having succumbed to the mañana pace of rural Mallorca, spring sees Peter Kerr and family relaxing into a supposedly simpler way of life, growing oranges on their little valley farm. However, even after the trials, tribulations and triumphs of their initiation, Spain has not yet finished with them. Embarrassing subtleties of the language, brushes with local police, the unfortunate outcome of a drinking session . . . surprises aplenty test the resolve, stamina and sense of humor of the Kerr family. This engaging account of tranquilo life celebrates all the charm of Mallorca: where you seldom do today what can be more judiciously put off till mañana! Previously titled Mañana Mañana. Peter Kerr's award-winning Snowball Oranges series of five Mallorcan-based books have sold over 300,000 copies worldwide and have been translated into 12 languages. 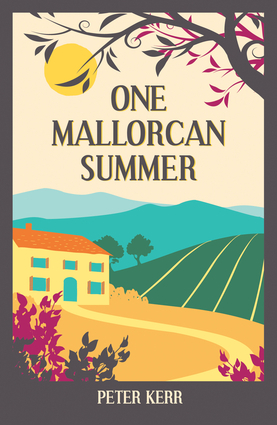 They recount the often hilarious adventures experienced by Peter and his family while running a small orange farm on the Spanish island during the 1980s.